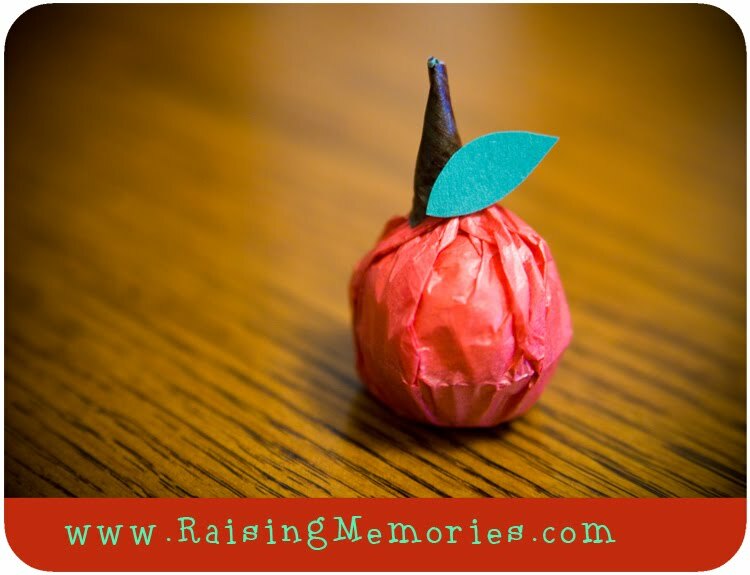 This year, I made a teacher thank-you gift for Talia's teacher out of a Chocolate Orange. 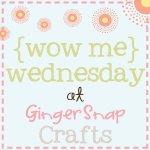 I'll be posting a tutorial for it soon, but for today, I have a similar project to share! 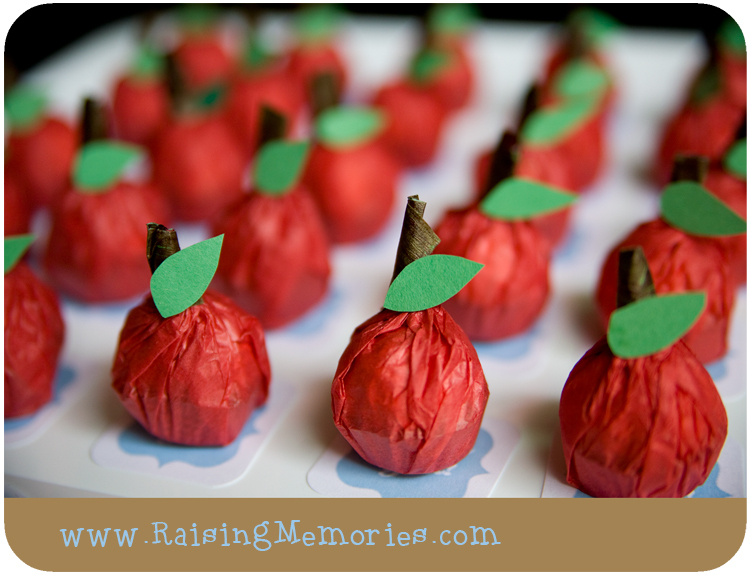 When I was planning my sister's school themed bridal shower, I was searching Pinterest for ideas, & I came across someone who had done something very similar to my "Orange Apple", but smaller, out of a ferrero rocher chocolate! You could totally do either of these projects for your kids' teachers as gifts, or thank yous, or for your kids- and your kids can help! :) (Katrina was very helpful when I was putting together the shower thank yous). You can find a step by step tutorial with pictures, on how to make the ferrero rocher version, here. Now this is a super cute, very cool idea! What a memorable little gift this made and I love how you photographed it too! Nice Idea of Gift. Chocolate Wrapper with Photo is also a unique idea to gift someone. 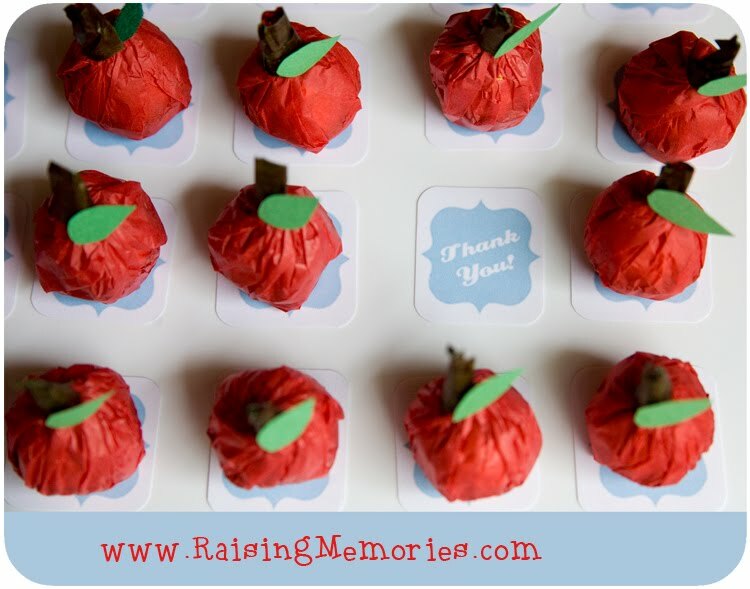 Personalized Chocolate wrappers with photo on chocolate wrappers and interesting message makes this gift very memorable.